Maha Shivaratri (Great Night of Shiva) is a Hindu festival celebrated every year on the 13th night/14th day in the Krishna Paksha (waning moon) of the month of Phalguna in the Hindu Calendar. This is the night before and day of the new moon. The festival is principally celebrated by offerings to the Lord Shiva, all day fasting and an all night long vigil. The Pashupatinath Temple (one of the most important shrines of Lord Shiva) hosts one of the biggest gatherings on Maha Shivaratri. In 2019 Maha Shivaratri will be celebrated on March 4. 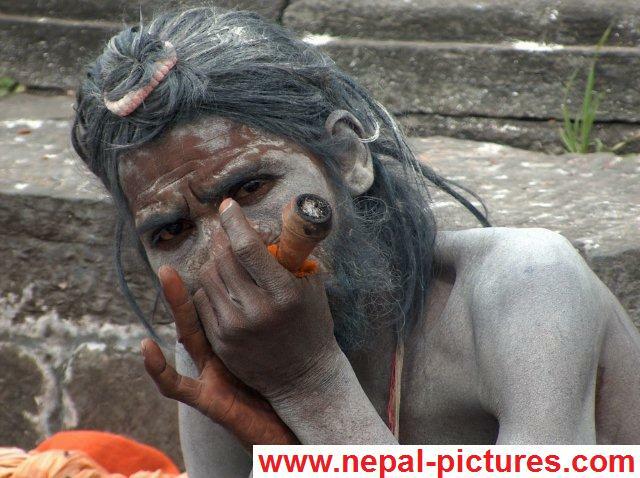 Man dressed up like the “Hindu Monkey God” Hanuman during the Shivaratri festival at Pashupatinath. 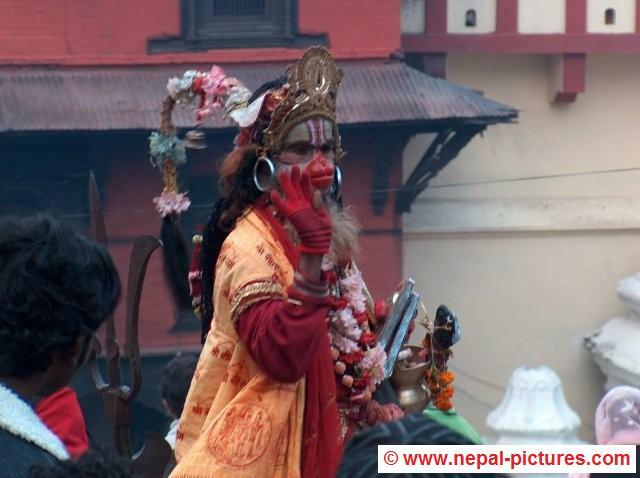 Saddhus at the Shivaratri festival at Pashupatinath in Kathmandu Valley. 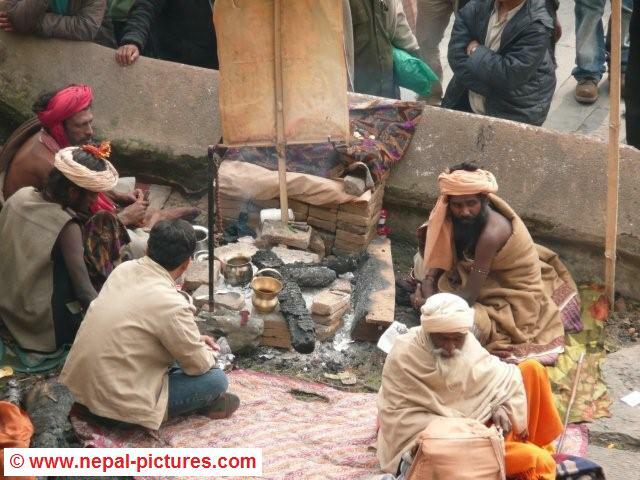 Two saddus meditating at Pashupatinath during the yearly Mahashivaratri gathering. 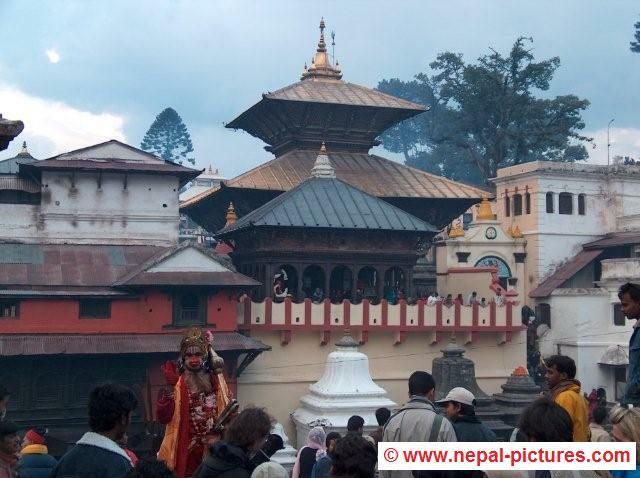 Pashupatinath temple in the Kathmandu valley, the most important Hindu temple in Nepal, during the Shivaratri festival. 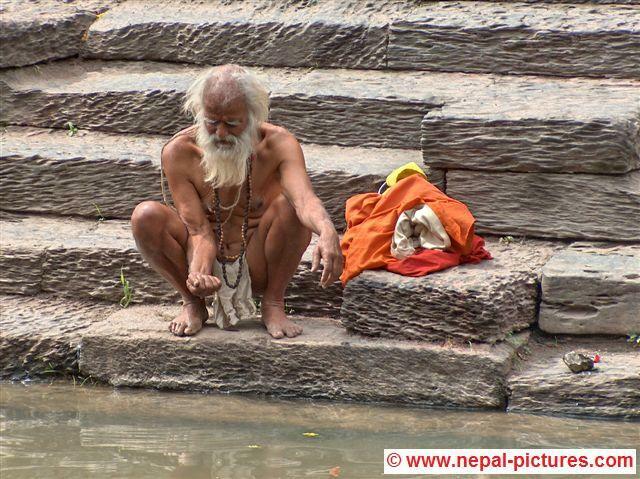 Picture of a Saddhu on the banks of the holy Bagmati river at Pashupatinath during the Maha Shivaratri festival.